HIFU packages from as little as £104 per month! 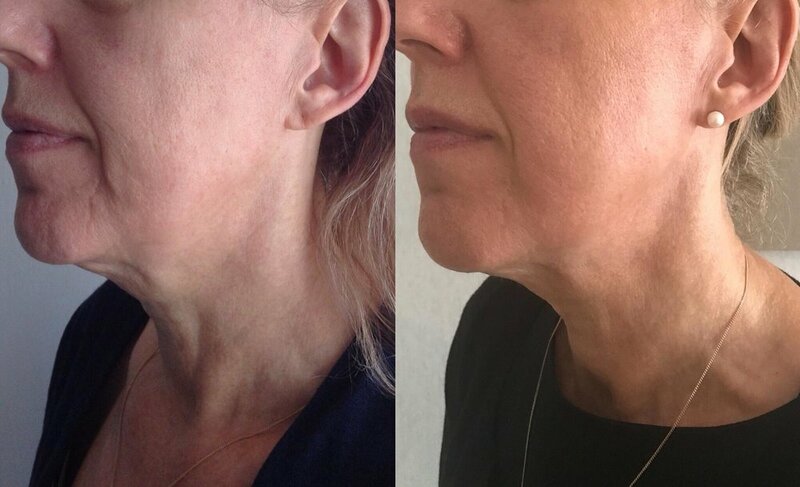 Ultraformer 3 is a completely non invasive, clinically proven face lifting & skin tightening device that provides customised treatment procedures for entire face, neck and body. 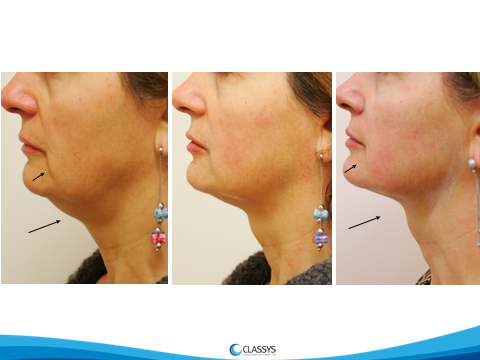 This treatment is non invasive, there is no downtime and minimal side effects. HIFU treats the deep foundational layer addressed in cosmetic surgery, HIFU doesn’t duplicate the results of a facelift however it is a fantastic alternative and certainly the most effective face lifting procedure currently on the market without going under the knife. Especially good for those not ready for surgery or for patients looking to extend the effects of cosmetic surgery. Tried & Tested - Our Clients love HIFU! Normally Instant results are seen, however due to tissue remodelling, best results are seen after 12 weeks. Individual results vary. Not all patients will have the same post procedure recovery and results, we recommend a consultation prior to treatment to discuss your potential benefits and risks. High Intensity Focused Ultrasound (HIFU) or Ultrasound Therapy is proving a game-changer within the aesthetic industry for its skin lifting and tightening effects and it's ability to target stubborn pockets of fat. It works by creating thermal clotting within targeted layers of the skin which, in turn, stimulates the natural production of collagen and provides long term and ongoing tightening of the skin. For fat loss HIFU technology targets fat layers below the skin to destroy fat cells permanently. The go-to solution for those wanting to tighten a post-pregnancy stomach, jowl lifting, neck lifting, nasolabial fold and wrinkle reduction, as well as overall skin rejuvenation. HIFU is a non-invasive treatment that uses ultrasound energy for skin-tightening and lifting without the need for surgery. The procedure can be carried out on the face and body to provide rapid, long-term tightening of the skin – a high-demand in the beauty industry. Treatments will usually last about 30-60 minutes, and because the experience is non-invasive and doesn’t require medical intervention, the patient has no downtime. The procedure is ideal for tightening problem areas on the body to suit a patient’s aesthetic needs, causing only slight redness and minimal downtime. 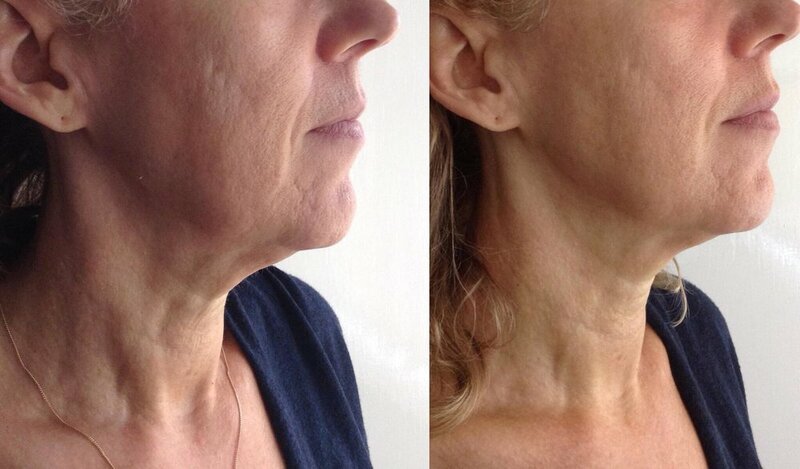 Using targeted ultrasound energy that stimulates collagen production in specific areas of skin tissue. This lifts and sculpts sagging skin on almost any part of the body. It’s ideal for tightening a post-pregnancy stomach area, smoothing, lifting and contouring the face and neck (reducing the appearance of wrinkles in the process), and to treat wounds. The patient must be aware that cosmetic procedures are designed for improvement, not perfection. Patients should have realistic goals and expectations for their cosmetic treatment. Be sure to discuss your reasons/goals for wanting to undergo this treatment with the therapist during your consultation visit. This will also help determine your candidacy for the procedure.